It was the lure of winemaking that tempted Bernard Ehlers to buy a small, dying vineyard in the late 1800s and embark on a quest to create the winery that continues to bear his name. He replanted his newly-acquired 10-acre vineyard, established the olive grove that still thrives today and in 1886 completed construction of the stone barn that is now the estate's beautiful winery building and tasting room. A century late, another husband and wife team discovered the same lure of this idyllic spot in the heart of Napa Valley. By the turn of the century they had created the 42-acre estate that's farmed today, with Bernard Ehlers' original stone barn and vineyard at its heart and the Ehlers name poised to grace wine labels. Developing the winery had become a passion project for couple Jean and Sylviane, one they shared long after the sale of their other successful businesses in Europe. Their legacy remains in safe hands today under the leadership of current winemaker, Kevin Morrisey, who was favored by Sylviane because he shares the same passion for creating sophisticated wines with an old-world charm that captures the character and heritage of their land. The winemaking team strives to be responsible stewards of the land and continue the legacy of Bernard and Anne Ehlers and Jean and Sylviane Leducq, who saw the potential that can be tasted in every bottle of Ehlers Estate wine today. 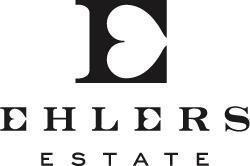 Ehlers Estate continues a proud tradition of farming with experienced vineyard and cellar teams that share a non-interventionist winemaking philosophy firmly rooted in the belief that terroir defines a wine, but passion, patience and hard work are needed to ensure that it is fully expressed in the bottle. The organic vineyard practices leave a minimal footprint on the land and give the grapes maximum flavor. Taking advantage of the robust Estate ecosystem and carefully-chosen rootstocks, their vineyard crew coaxes the vines to fully express the numerous soil types and microclimates found on the estate. Once the grapes are harvested, the cellar crew knows when to be hands on and when to let nature take its course as the wines ferment, develop and age. Wine Enthusiast 91" Awash in juicy currant and black cherry fruit, it has a sophisticated back-layering of cedar and maple that adds complexity. Integrated tannins are soft enough to make the wine enjoyable now, yet sturdy enough to cellar for many years. "